The divided city of Berlin lay deep in Soviet territory and was connected to West Germany by formally agreed road, rail, waterway and air 'corridors'. Anxious to oust their former American, British and French allies, the Soviets embarked on a progressive strangulation of the city, beginning in January 1948. Currency reforms, opposed by the Russians, were introduced in West Germany in June 1948 and were to be the catalyst that sparked the Berlin Blockade in earnest. 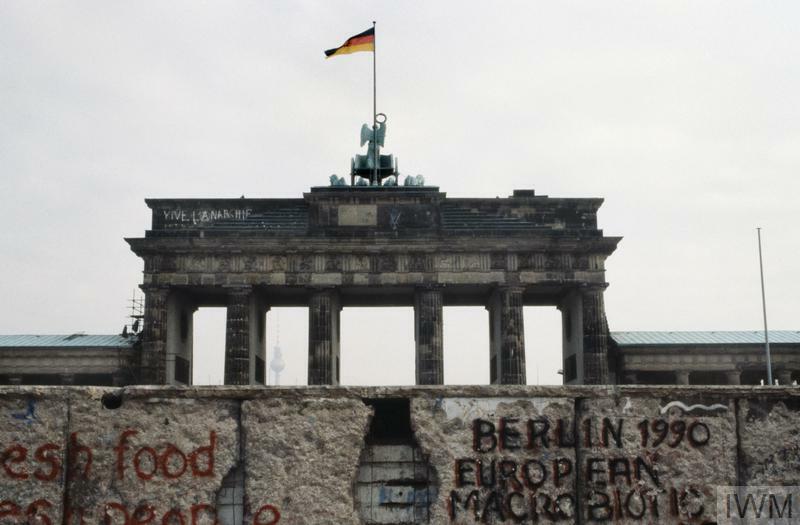 Access between West Berlin and West Germany was prohibited on the ground. Two-and-a-half million Berliners, as well as the Allied garrisons, needed to be supplied with food, fuel and the means to continue production and export. The only way to supply the city was by the three air corridors into Berlin from Hamburg, Hanover and Frankfurt. Britain, the United States and other Western Allies flew aircrafts of supplies into Berlin's Tempelhof, Gatow and Tegal airports. A crowd of German civilians watch a Douglas C-54 Skymaster of the Military Air Transport Service, US Air Force, come in to land at Templehof Airport in Berlin. Initially the situation was improvised and uncoordinated, but soon developed into an efficient operation that at its peak was landing aircraft at three-minute intervals. Realising that the Western half of the city was coping well, the Russians lifted the blockade on 12 May 1949. 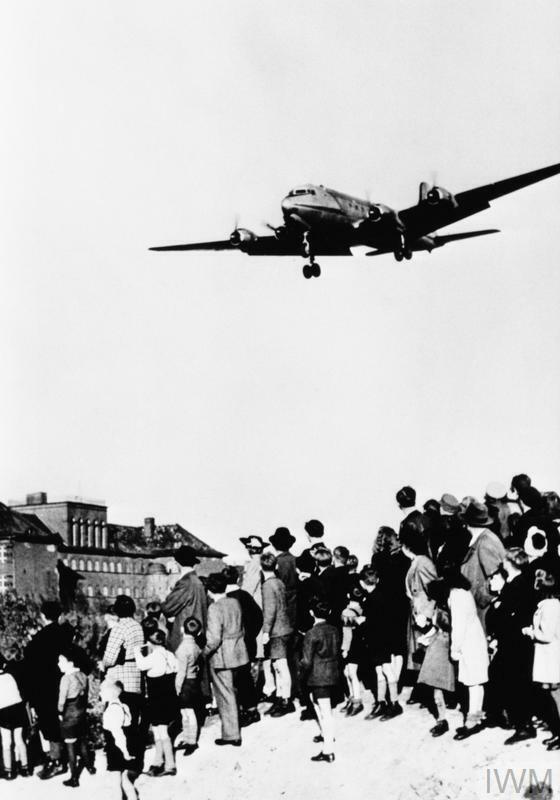 In 1951 a memorial was unveiled in Berlin commemorating the 76 casualties of the Airlift, both aircrew and civilians. 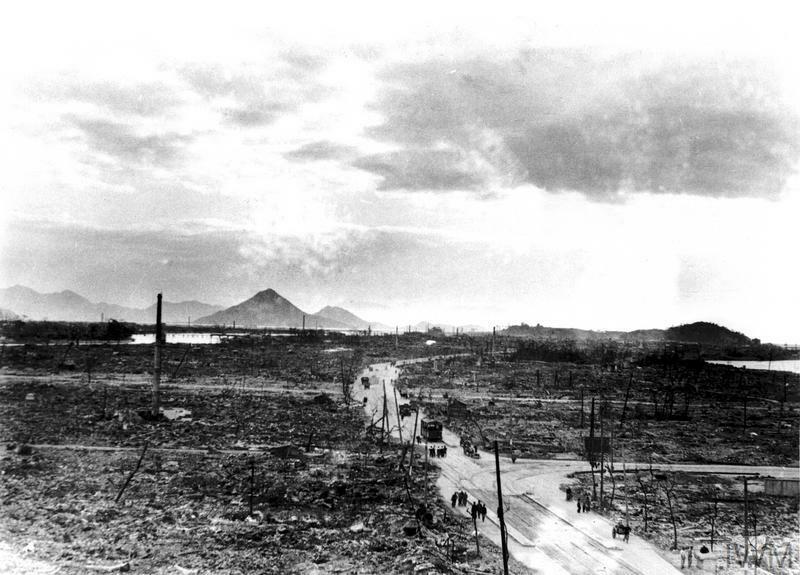 In August 1945 atomic bombs were dropped on the Japanese cities of Hiroshima and Nagasaki, hastening the end of the Second World War and heralding the birth of the atomic age.